The semester of taking two grad classes while working full time is almost over. Never again will I do that. Thankfully, I don't have to since I only have two classes left and I'm planning to graduate next December. I've enjoyed both classes I'm taking this semester, it's just a lot of deadline juggling, which I am not a fan of. I did have quite a productive reading week though despite all of my panic with looming deadlines. One of those deadlines was a promotional project for a book award in my prizing children's literature class. I decided to be ambitious and choose an award that has only been recently established, no awards have actually been given out yet. So, I give to you my Walter Dean Myers Award promotional project. 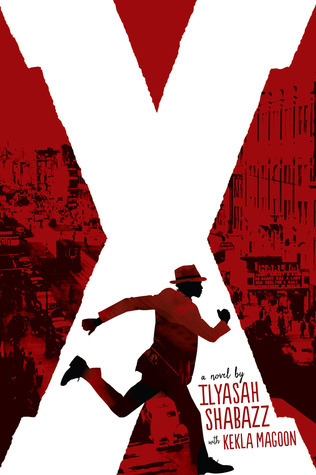 My thoughts about this book are kinda spoilery, so if you've read this book and want to read my thoughts, go to my Goodreads review. Sometimes a book finds you at just the right time. My students are currently working on a writing assignment called "Words are Powerful" so today we read about how the right word can make all the difference. I have a review of this book scheduled to post tomorrow so I'll wait till then to share my thoughts. 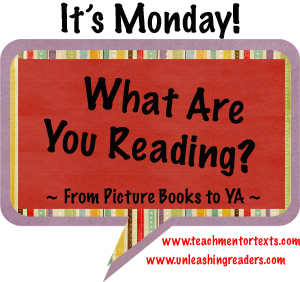 Short review: I loved this book! Perhaps more than the story itself, which is about a typewriter that gets relegated to the attic because no one uses it anymore now that everyone uses computers, I love the the fact that the family in this story is bi-racial. It is done with little fanfare, but there is enough information for readers to notice, yet at the same time, let it just be what it is: a normal, American family. Be still my heart. There is nothing more satisfying than the simple complexity and cadences of a Billy Collins poem. 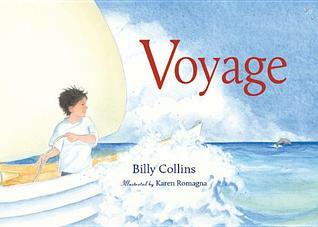 I love that his words have now been given value in the children's literature world with this picture book adaptation of his poem, "Voyage." This week in my prizing children's literature class we need to listen to an award-winning audiobook. 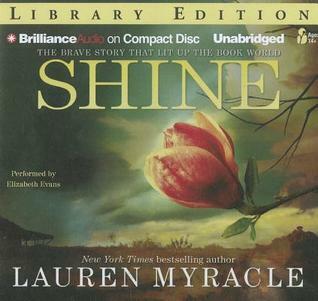 This just happens to be my favorite audiobook of all time and so I relished in listening to it once more. 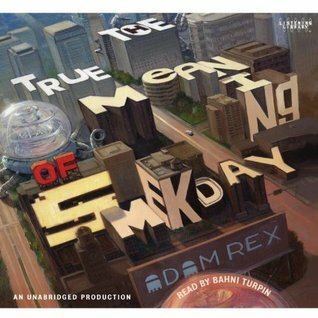 Bahni Turpin's narration is insanely funny and brilliant and I just want every person in the world to listen to this audiobook. You think Jim Dale's a good audiobook narrator? Bahni Turpin is better. Blasphemy, you say? Just you wait. Listen to this and tell me I'm wrong. I love that you took on the new Walter Dean Myers award for your project. I live and taught in an area that had little racial diversity. Books were indeed windows for my students to let them know a little of people's lives who were different from theirs and yet shared many things in common. Myers books were always a favorite with my students even though most of them had never visited an urban city much less lived there. 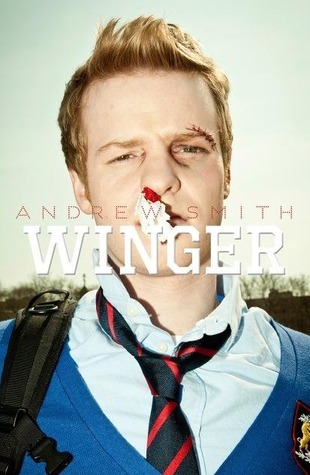 Hurrah that you finished and liked Winger! What a book. 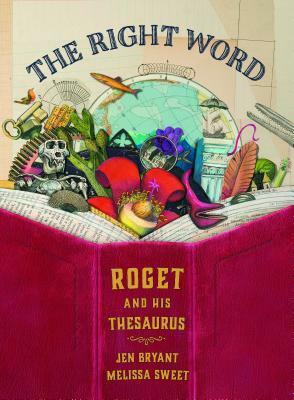 I just bought The Right Word. Can't wait to share it! Bahni Turpin is amazing, isn't she? I did not particularly care for that novel but her narration kept me listening! I would listen to anything she narrated. I'm excited to see the Billy Collins book. I, too, love his poetry. 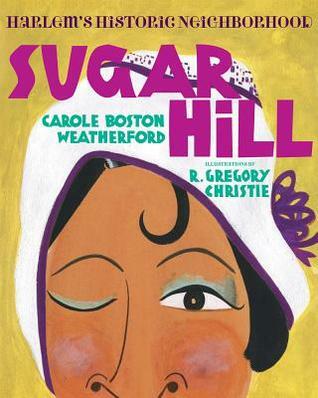 My daughter lives around the corner from Sugar Hill, so I can't wait to see this book. 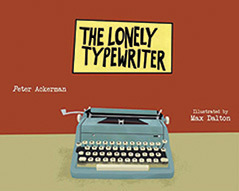 I have Winger, loved Shine, & will look for The Lonely Typewriter, Beth. Love the heads up to the audio book, too. Lots of good books available! Your review of Winger was perfect.